Help me Obi Wan Kenobi, you’re my only… phone. 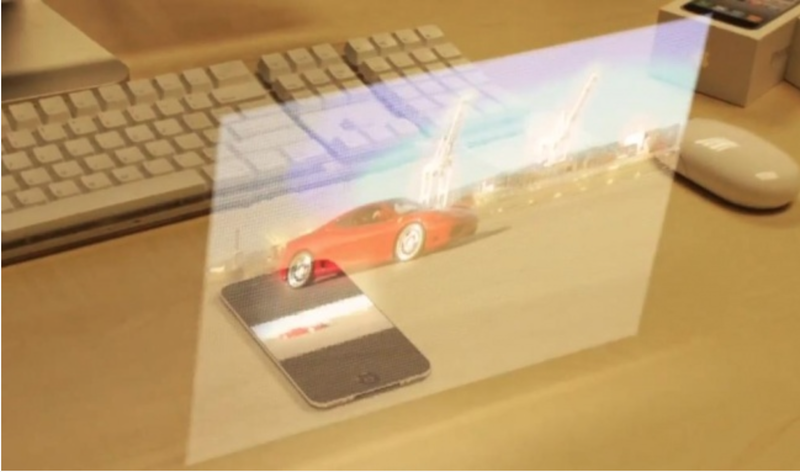 Ostendo Technologies has created a tic-tac sized holographic projector that can be implemented into smart phones starting next summer, which is a pretty mind-blowing feat. When I first read about it, my mind automatically jumped to the uses for health and fitness. Imagine getting to monitor your heart rate on the phone itself while watching your favorite Netflix episodes on the projector, or using the projection to read your favorite healthy recipe, upright, while you cook. What an easy way to see a recipe without worrying about getting the screen dirty. While I can’t wait to have a 2-d projector built into my smartphone, Ostendo Technologies is pushing the envelope further by also working on a 3-d holographic projector. They do not have an anticipated release time or year yet for the 3-d technology, but some of the anticipated uses are for projecting full-scale furniture, people, and objects onto blank walls. Although making virtual reality attainable in a smart phone would be a game changer in the mobile industry, I still think getting to become a real life Princess Leia tops any other use for the 3-d projection.